Many of the attributes that make Oakland a Model City and a great place to live. 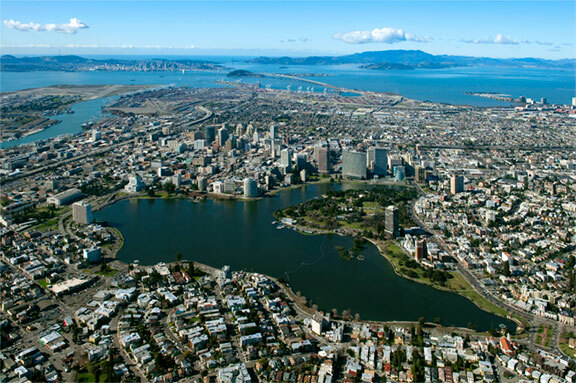 Oakland’s diverse population, hip arts scene, Mediterranean climate, world-class attractions, abundant parks and open spaces, vibrant waterfront and lakefront, historic architecture, palate-tempting restaurants, bustling nightlife, action-packed pro sports and varied recreation options make for an exciting place to live. Oakland Athletics Baseball – With a fun an easily accessible stadium this is a great activity to do with family or friends. The atmosphere caters to baseball fans or just fans of a good time! Oakland Raiders Football – A source of great pride for the city of Oakland, there are few things that the people of Oakland feel more strongly about than Raiders football. Be a part of the tradition today! Golden State Warriors – Currently one of the top teams in the league and they are located right here in Oakland California. Come watch stars like Steph Curry, Draymond Green and Klay Thompson. 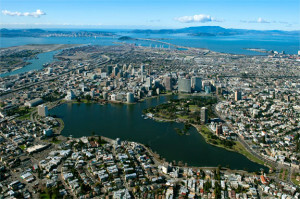 Lake Merritt -Located just east of downtown this area is great for jogging or biking. It was the United State’s first wildlife refuge when it was designated in 1870. You can rent sailboats, canoes, and rowboats to use on the lake. The park also features an amusement park called Children’s Fairyland. Oakland Zoo – A world class zoo located in Oakland which is home to many exotic animals. They feature many family friendly events like animal feedings and family overnights. This is a great place to bring the kids or just learn about animals in an interactive way! The Fox Theatre – one of many great theaters in Oakland, they have great live acts all the time. From comedy to concerts they have an act for anyone. There are so many choices of things to do in Oakland that someone created this list of “101 Things to do in Oakland“.